I don't usually do posts like this but I love getting input from you all! Recently one of my favorite flat-irons totally died on me. When I say die... I mean it fell apart in my hands. Its kinda funny but now I'm on the hunt for a new one. Back in December 2011, I bought one from KISS. It's nice but I find that it doesn't glide smoothly. Tugging leads to breakage and I really don't want that! Thankfully it was only $29.99 on sale.. Which flat iron is your favorite? Do you remember the price point? It's okay if you don't remember all the details, I just really need the name. I created a post to help anyone struggling to find a good flat-iron. Your GHD died?? The horror! Before my GHD I used to use a Hot Tools one, but I've heard amazing things about the Sedu, and it's cheaper than the GHD! I really want the sedu! I bought a flat iron from Winners after my beloved Chi died back in 2009. The new one I bought is by Bellezza. I paid about $40 for it- but that was a few years ago. It's got ceramic plates and straightens really well- but I do find I have to straighten every day because it just doesn't hold until the next day. Temperature ranges from 150F t 450F. I'm stupid and keep it at 450F lol. Also, it heats up quickly! I like to think it's just as good as my dead CHI. My favorite one literally fried on me. I replaced it with a CHI and I love it, but I still recommend my original favorite because I think it's important to have a flat iron with adjustable heat settings. It's a Jilbere Titanium Tools flat iron, and runs for around $60 at Sallys. As long as the plates are ceramic (wich are a bit more) the quality seems to be there. Ahem I won a nice Flat iron last year ~ Karmin is the brand those are great and $$$$$. Gold N Hot is a good one also,there are 2 im speaking with the ceramic plates. Good luck on your search! I've used T3 for years. Sometimes you can find them at winners. My current favorite is HANA Titanium 1'5 from Misokko: http://gabysbeautyblog.blogspot.com/2011/12/hana-titanium-15-flat-iron-from.html I just find the large plates so convenient as it's way faster to straighten my hair! Second person who said karmin! In Norway it´s about 316 CAD, but I guess it´s probably a little cheaper in Canada.. You could get it in most hairsalons, and online (just be sure to buy the real thing. 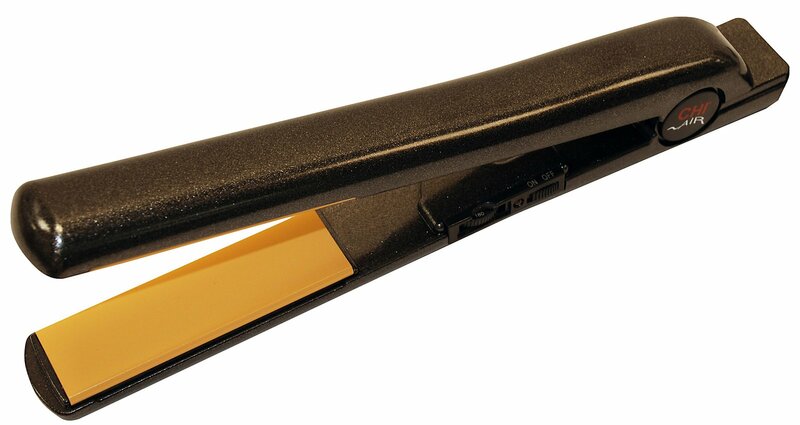 It´s a lot of fakes of these straighteners and then you won´t have your guarantee). awww thank you for the info! I have a Solia and I have to say I love it. I got it offline from this website Folica. It's a tourmaline ceramic iron. The shipping to Canada can be a little pricey but they always have deals going on. My flat iron was originally priced at $89, but I got it for $75 I think. I've had it for a little over two years now. Well I have a Karmin G3 because my stylist recommends it a lot, I was going to get their titanium model but my hair is very curly and frizzy and apparently tourmaline is best for that hair type. It's got heat settings up to 460°F and it comes with a bag and mat. It was around $135 when I bought it online at some site called Beyas. I got it there mostly because of the money back guarantee, lol. Plus the site is canadian. The titanium i like $99 but ah well, I don't regret my decision at all!! The best flat iron I have used is the Karmin.